Learn Effective Strategies to Overcome Disappointment, Handle Criticism and Grow Confidence to Achieve Your Goals! Ever wondered if you'll ever be able to let others' comments slide off you? Or if it's possible to not feel like a failure when things go wrong? Are past mistakes haunting you and stopping you from moving forward? 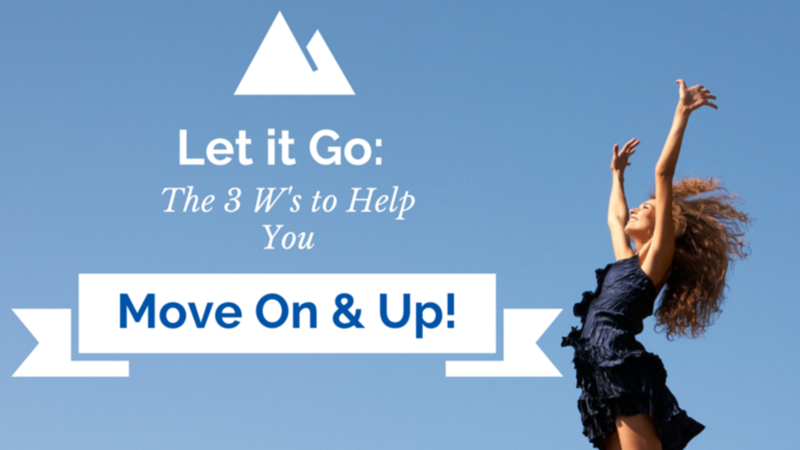 That's what Let it Go is all about, as I guide you through the 3 'W's to help you practically learn to move on and UP! I get it. I've been there. I've hated myself, felt ashamed of my failures, felt like I'd never get over the cruel words and rejections I experienced both personally and professionally. So if I can go from feeling face-down in the mud, being broke, feeling hopeless and doubting I was worth anything better, believe me that YOU CAN TOO. My passion to help you move on and up is fuelled by my own experiences, and by having helped hundreds of clients build confidence and overcome their own mindset gremlins to achieve truly satisfying goals. In this self-study course, which I will continue to add to, I am sharing strategies that WORK. Not just for me, but for clients of mine worldwide. They'll take a bit of work, of course they will, but they are work practicing because they can make a significant difference to you too. Increased Ability to Move On and UP! Here's What You Get When You Order Today: Instant Online Access to the Complete Let it Go System: 12+ High Quality Videos - 20 Page Workbook - Practical Exercises for Every Step - Increased Ability to Move On and UP! - PLUS This Amazing Bonus: Limited Time £50 Discount!